Seeking treatment for vein disorders, such as venous disease and varicose veins can give you actual physical and emotional relief. Nevertheless, there are several qualities that you must seek out before selecting the doctor that will be giving your treatment. A vein doctor who is prepared to perform treatment for venous disease or varicose veins should be certified by the American Board of Surgery. This board ensures that a doctor has the appropriate medical certifications to perform surgical treatments and is up to date on modern medical practices. 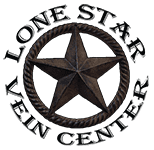 At Lone Star Vein Center, Dr. Peter Morgan is a board certified general surgeon. He exclusively treats veins and with over 7,000 vein procedures performed is one of the most experienced vein surgeons in Houston, TX. In choosing a doctor, it is essential to select one that has considerable experience treating your form of vein disease. Particularly, look for a doctor who has specialized exclusively in treating venous disease, as opposed to a general doctor. During consultation with a specialist, inquire about cases that he or she has dealt with that have been comparable to yours. You might also want to inquire for recommendations from family or friends of yours who may have had similar problems. Dr. Morgan and his staff treat only veins and vein diseases at their clinics in Pasadena and The Woodlands, TX. They have the training and expertise to diagnose and treat your vein disease. The treatment which you undertake will be based upon your problem along with the end result that you want. Several treatments are suitable for treating large veins, while some will only work on little, superficial veins. Search for a vein doctor who provides several treatment options to ensure all of your damaged veins can be effectively treated by one doctor. Dr. Morgan has completed over 7000 procedures to fix vein diseases and is the only vein specialist in Houston, Texas to utilize both radiofrequency (RF) and laser ablation. Additionally, the techniques and tools used in our facility are state of the art – they are the latest and greatest! Many people who go through venous disease become self conscious about the condition, which may make it hard to talk about and deal with the condition. Make certain you feel comfortable speaking about your problem with the doctor you select. Your doctor must have a demeanor that will make you feel relaxed and self-confident during your entire treatment. Dr. Morgan and his staff are friendly, helpful and courteous. They will develop a treatment plan to help you be rid of your leg pain, varicose veins or other symptoms of Chronic Venous Insufficiency. We have convenient locations in just outside of Houston in Pasadena, TX and The Woodlands, TX to fit your needs.